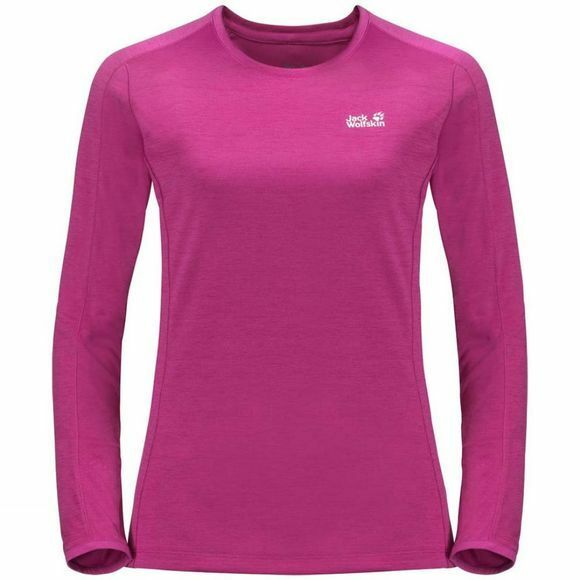 The Womens Hydropore Xt Longsleeve Top from Jack Wolfskin has a great fit and wicks moisture quickly away from the skIn. It also dries super fast after sweaty training sessions. The special Hydropore fabric protects your skIn from UV rays and puts a stop to unpleasant odours.